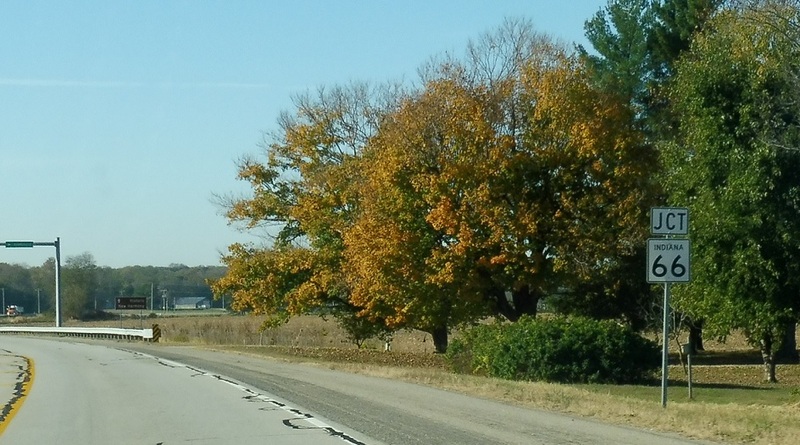 Less than a mile after SR 68, we’ll approach SR 66. 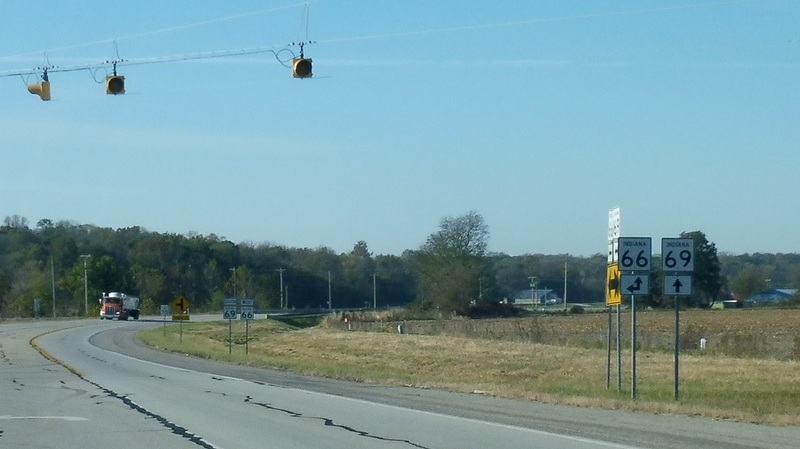 Follow 66 east to Evansville. 69 south joins 66 west for less than a mile. Stay straight for 69 south/66 west. 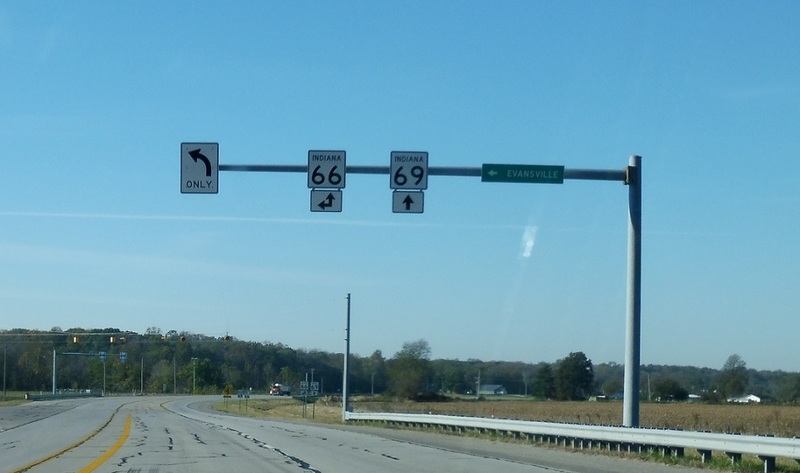 Turn left for 66 east.